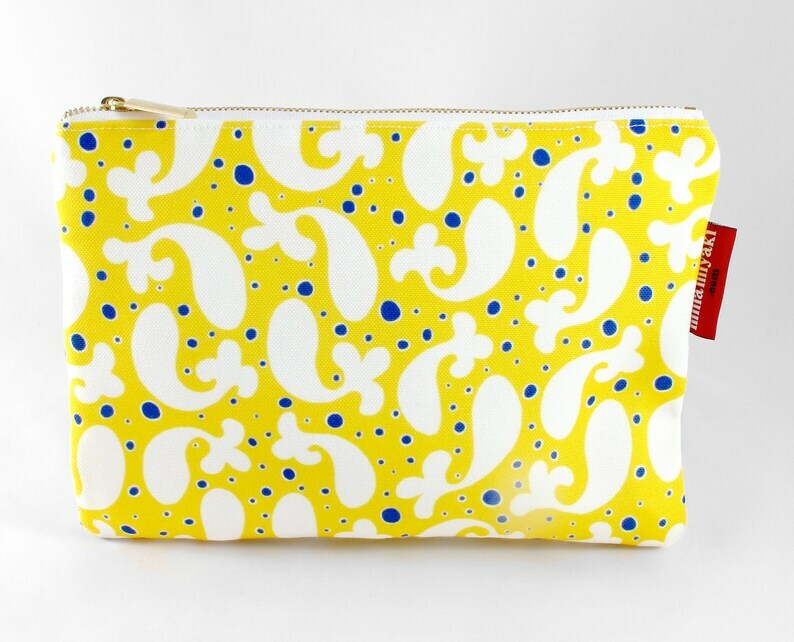 You can use this water repellent lining pouches for cosmetics, perfume, jewelry, pencils. It’s the perfect bag organizer or use it on the go as a clutch to hold your phone, credit cards and various other essentials. Here is the trapeze pouch with the same print: http://etsy.me/1SWaBWf. This one ships the next business day. - Dimensions: 9" x 6.5"